Copyright law is meant to provide limited monopoly rights to creators of works in order to serve the public interest. That public interest is in providing incentives to create new works and to disseminate them publicly. A recent Ontario Supreme Court decision raises the issue of whether the application of Canadian copyright law in the digital context is properly adapted to these purposes. Trader Corporation v. CarGurus Inc. involved a dispute between two companies that provide digital marketplaces to consumers searching for new and used vehicles. Trader is the incumbent company in Canada, and operates digital marketplaces at autotrader.ca and autohebdo.net. CarGurus is a well-established American company that entered the Canadian market in early 2015. Both companies engage in very similar businesses – their websites provide listings of cars that are available for sale, complete with photographs of those vehicles. In the U.S., CarGurus populates its website with data from commercial partners that provide it with listings from dealers; it also scrapes car dealer websites for additional listings. Copyright law is not a practical barrier to this latter practice since most dealers are happy with the added publicity for the cars they sell. After all, the product is not the listing, but rather the car. If a dealer objects to the listing appearing on CarGurus’ site, CarGuru will remove it. On entering the market in Canada, CarGurus adopted a similar business model. One difference between the context in the US and in Canada – a difference that was apparently not known to CarGurus – is that in Canada, Trader offers dealers the option to have a Trader’s trained photographer take photos of their cars for the dealer listings. Most dealers take their own photos; the Court found that Trader’s photos accounted for only 5% of the total number in Canadian dealer listings. Yet, though few in number, these photos are significant. Unlike the context in the US, where dealers owned copyright in their photos and were unlikely to object to these photos being used by CarGurus to reach a broader market for the cars, in Canada, Trader – a digital marketplace – was in a position to object to the use of its photos by a competing digital marketplace when dealer listings were scraped. This key difference between the US and Canadian contexts was not known to CarGurus at the time it commenced operations in Canada. In addition to operating its digital marketplaces, Trader also licenses its data to other companies, including competing websites. 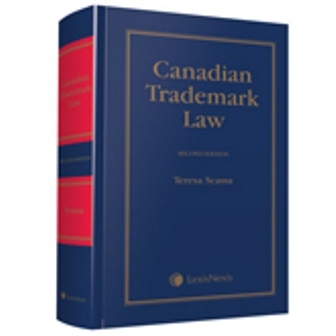 When CarGurus entered the Canadian marketplace, Trader sent it a copy of its license agreement. However, CarGurus decided not to license the data because there were “a number of terms that were of great concern to CarGurus as they were designed to prevent CarGurus from effectively competing with Trader in the Canadian marketplace” (at para 12, citing testimony of CarGurus’ Senior Vice-President of Business Development.) CarGurus, confident in its US business model, proceeded on the assumption that individual dealers owned the copyrights in their photographs, and that they could deal with any objections on a dealer-by-dealer basis. Instead, they were sued by Trader. In pursuing CarGurus, Trader sought three main things: a declaration that CarGurus had infringed its copyright; statutory and punitive damages for infringement; and a permanent injunction preventing CarGurus from using Trader’s photos. Having established that Trader had copyright in its photographs, the next issue was whether there was a viable defense to infringement. CarGurus first argued that its use was fair dealing. Justice Conway accepted that the copying could be for the statutory purpose of “research” when considered from the perspective of the end user who is searching for a car to purchase. However, she found that CarGuru’s dealing with the works could not be characterized as “fair”. This was because the photos were widely disseminated over the internet, and because CarGurus used the photos in their entirety. Further, she found that CarGurus had alternatives to the dealing – it could have taken its own photographs of the cars. Justice Conway found that the ultimate effect of CarGurus’ use of the photos “was to compete squarely with Trader in the Canadian digital marketplace arena.” (at para 39) As a result, she ruled that the fair dealing defense was not available. CarGurus also argued that it should benefit from the relatively new statutory defense for operators of “information location tools”. Section 41.27 of the Copyright Act limits a plaintiff’s remedies to an injunction where a suit is brought against an operator of “any tool that makes it possible to locate information that is available through the Internet or another digital network.” As Justice Conway noted, the exemption was added to the Act in 2012 to protect providers of such tools because of the public interest in being able to easily “use and navigate the internet” (at para 43). Justice Conway – the first judge to interpret this provision – found that CarGurus did not qualify for the exception because their site did not help users locate information on the internet. While browsers allow users to search for content and provide links to relevant content (and thus qualify as information location tools) CarGurus located information and gathered it on its own website and then made it available to users. She ruled that this type of activity fell outside the exception. She noted that initially CarGurus did not even provide the dealer name and information associated with different listings; to access these, the user had to use CarGurus as a go-between. It did eventually provide information on the dealers, including the URLs for their websites. However, Justice Conway noted that “while the addition of that information might have assisted the user in conducting its own additional searches or contacting the Dealer where the vehicle was located, CarGurus was still not providing a tool that enabled the user to get the online location of that vehicle information.” (at para 50). Trader sought statutory damages for infringement. In the case of commercial infringement, the statutory damages provisions allow for a range of damages between $500 and $20,000 for all infringements relating to each work. Because the court had found that CarGurus had copied 152,532 of Trader’s photographs, even using the lowest amount in the range would lead to an award of over $76 million dollars. This is an outrageous amount of money in the circumstances, and so Justice Conway used her judicial discretion, provided for in s. 38.1(5), to lower the amount of the statutory damages award. She noted that “Trader has suffered no monetary damages and has lost no business as a result of the infringement.” (at para 56). Justice Conway took into account a number of factors in adjusting the statutory damages award. She noted that CarGurus did not scrape data from Trader’s site; rather it scraped data from the sites of dealers. It used a business model it had used successfully in the US, and had sought legal advice before entering the Canadian market. It was unaware that some of the photos it was scraping were taken by Trader employees – and in fact, she noted that Trader had not apprised CarGurus of this fact until well into its back and forth with CarGurus over its activities. In Trader’s initial contacts with CarGurus in June 2015 it had asserted a violation of copyright in its autotraders.ca site; the issues regarding the photographs were not raised until December 2, 2015. She also took into account the fees charged by Trader under its license agreements for use of all of its photographs – whether its own or those supplied by dealers. She noted that had CarGurus entered into this agreement it would have had to pay only $17,535 for the photos during the infringement period. She also noted that during the relevant period CarGurus had not made a profit in Canada. She nevertheless expressed the view that CarGurus did not carry out appropriate due diligence in seeing whether its business model was transferable from the US to Canada. In the end, she awarded statutory damages in the amount of $2 per photo, for a total of $305,064. She declined to award punitive damages. Justice Conway also declined to order a permanent injunction against CarGurus. She noted that the company had already removed all of Trader’s photos from its site. It had also undertaken not to reproduce other Trader photos in the future provided there was a way for it to identify which photos are those of Trader. Rather than continuing to scrape dealer websites, CarGurus was now obtaining its photos from “feed providers” who had already been told not to provide any Trader photos to CarGurus. In declining to issue the injunction, Justice Conway made the point that “the practical effect of any such injunction would be for CarGurus to clear with Trader in advance the rights to any Canadian photos it wishes to use, or enter into a license agreement with Trader on mutually acceptable terms.” (at para 70). She agreed with counsel for CarGurus that this would effectively force CarGurus “to enter into Trader’s syndication agreement or cease operating in Canada.” (at para 70). This case raises – but does not really confront – interesting issues around the enforcement of copyrights in publicly available content on the internet. There are very clear tensions here between protection against unfair competition and the suppression of competition in the marketplace, where the scraping of content has indirect and immaterial effects but the enforcement of copyright can hamper or limit competition. It is not that Justice Conway’s decision is unsupportable in law – it offers an eminently reasonable interpretation of the applicable provisions. The question is whether the law finds the right balance. As Justice Conway notes, Trader could not demonstrate actual losses as a result of CarGurus’ conduct. The car dealers whose cars were the subject of the photos were not prejudiced; and none of the scraped content was taken from Trader’s site. The takeaway for companies in a similar position to Trader might be that they should deliberately salt online sites with some of their own copyright protected content (as little as 5% of overall content is clearly enough) in order to stifle the efforts of data aggregators to build independent marketplaces. It is a way to use copyright law to achieve purposes that have nothing to do with protecting creators of works or providing incentives to create new ones. 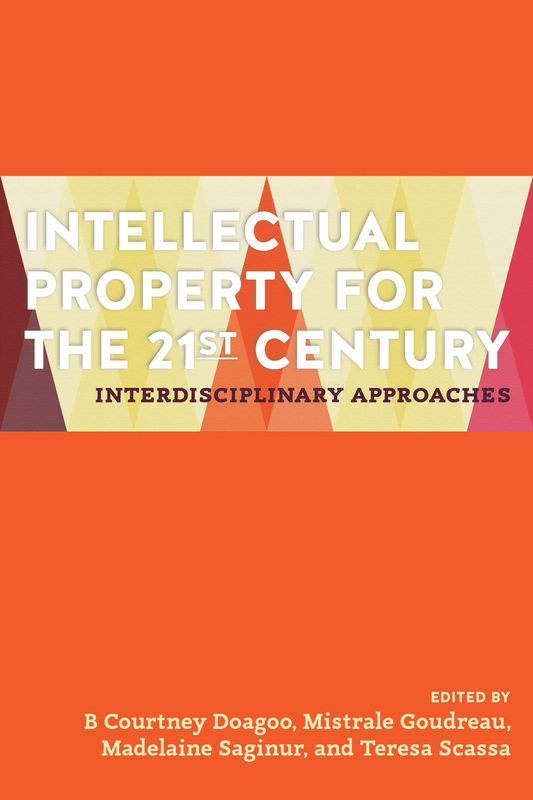 It is not clear that the result is in the public interest – and, to return to the opening of this post – it is the public interest that copyright is ultimately meant to serve.